Magnetic Spice Stand Just $19.99! Down From $35! PLUS FREE Shipping! You are here: Home / Instagram / Magnetic Spice Stand Just $19.99! Down From $35! PLUS FREE Shipping! Jane has this Countertop Magnetic Spice Stand on sale for just $19.99 down from $34.99 PLUS FREE shipping! 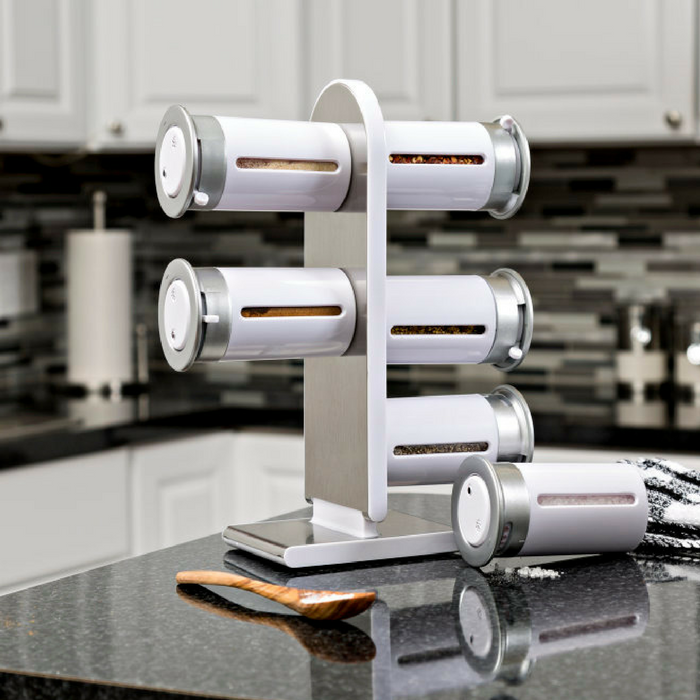 Keep spices close at hand but out of the way with our magnetic spice stand. Each canister has a pour control system with three settings, including closed, sprinkle and pour. Canisters are also designed to preserve freshness. This spice stand includes six spice canisters, stand and self-adhesive labels for spices.